Jeremy Dawson of Central Coast Home Health, Kim Marsden of Easy Lift and Ernesto Peredes, Easy Lift Executive Director. 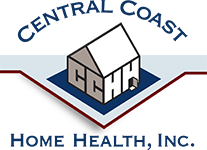 Locally owned and operated in San Luis Obispo since 2008, Central Coast Home Health has recently opened up offices in Santa Barbara and has quickly partnered with Cottage Health to provide skilled home health. The service, which now spans from Paso Robles to Carpinteria, also adopted two Easy Lift Transportation, Inc. vehicles. Central Coast Home Health is adopting two of the newest Easy Lift fleet, the MV-1, the first and only vehicle on the market built from the ground up with wheelchair users in mind. CCHH and Easy Lift will work to continue offering clients independence, mobility and dignity. Central Coast Home Health provides skilled home health care including registered nurses; physical, occupational therapists and speech therapists; registered dietitians, home health aides and social workers in the comfort of your own home. Easy Lift Transportation is a nonprofit 501(c)(3) organization that provides a wide variety of specialized transportation-related services for the south Santa Barbara community. The Easy Lift Transportation program was created to provide much-needed revenue to support its charitable mission while also providing visible marketing opportunities for local businesses and organizations. For more information on the Adopt-A-Van program visit www.easylift.com. Vancouver International Airport (YVR) celebrated the inaugural flight of Xiamen Airlines to North America on July 26, 2016. The new year-round, non-stop, Boeing 787 service will operate three times weekly between YVR and Xiamen Gaoqi International Airport (XMN). "We're delighted to welcome Xiamen Airlines as our fifth airline from Mainland China," said Craig Richmond, President and CEO, Vancouver Airport Authority. "It's no surprise that this very successful airline chose YVR as its first North American destination � our city has close ties with Fujian province, while our northwest location and world-class facility makes YVR the best gateway to North America for any Asian airline." The new Chinese service originates from Xiamen Airlines' namesake city, which has a population of more than 3.8 million people. Located in southeastern China, Xiamen boasts a warm climate, tropical scenery and tree-lined beaches. It has long been a popular stop for Chinese tourists, but the city is now welcoming more and more foreign travellers. It is a sophisticated destination, with hip boutiques and cafes alongside traditional temples and attractions. In addition to serving Canadians and Americans whose destination is Xiamen, the new route will be bolstered by a 72-hour visa-free stopover program. Xiamen Airlines has been in operation for 32 years and for the past three years it has been named the Best Airline in Mainland China and received the highest honour for service, winning the China Quality Award in 2016. The company operates an all-Boeing fleet of narrow-body and wide-body aircraft. The new YVR route, added as part of a rapid intercontinental expansion, is operated on a Boeing 787-8 Dreamliner with 4 First class, 18 Business class and 215 Economy class seats. Flight MF806 will depart Vancouver at 1:40 a.m. and arrive in Xiamen at 5:30 a.m. local time the following day. The westbound flight, MF805, departs Xiamen at 9:30 p.m. before crossing the International Date Line to arrive in Vancouver at 6:40 p.m. The chairman and CEO of Xiamen airlines Mr. Che Shanglun pointed out that Vancouver-Xiamen route was the first route that enables Xiamen airlines to extend its network towards the North America in company's history. The new service will add 158 jobs to the B.C. economy and $9 million in Gross Domestic Product for the province. In addition to strengthening business and trade ties, Canada stands to see more Chinese tourists taking advantage of the new, non-stop service. Vancouver Airport Authority secured the new route under its new five-year airline rates and charges program, ConnectYVR, which began on January 1, 2016. This program offers airlines the lowest landing and terminal fees of any competing airport in Canada and the U.S., while incenting and rewarding airline growth. Xiamen Airlines is the first new airline attracted to YVR under the program. Following the introduction of the Centenario Coup�, Lamborghini unveils the open version of its latest one-off creation to fervent collectors and enthusiasts at Monterey Car Week in California in occasion of the event �The Quail, A Motorsports Gathering�. A natural successor to its coup� counterpart, the Centenario Roadster is also limited to 20 units worldwide and represents a true illustration of Lamborghini�s commitment to advance automotive design to new, inspirational heights.The Italian icon continues to honor the centenary of its dynamic founder, Ferruccio Lamborghini, with this special commemorative series. Designers were given the freedom to create an open design that embodies the progressive qualities of Lamborghini�s visionary founder and shines in an elegant environment. 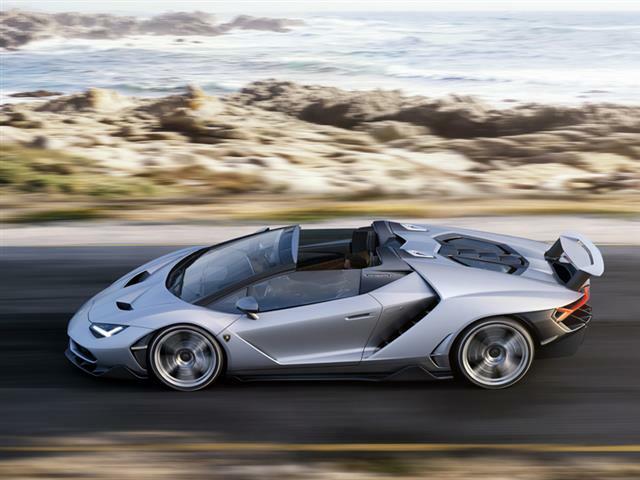 This next level Roadster embodies a new design direction for Lamborghini accentuated by clean surfaces and superb reflections as �form follows function� � true to Lamborghini�s core design DNA. 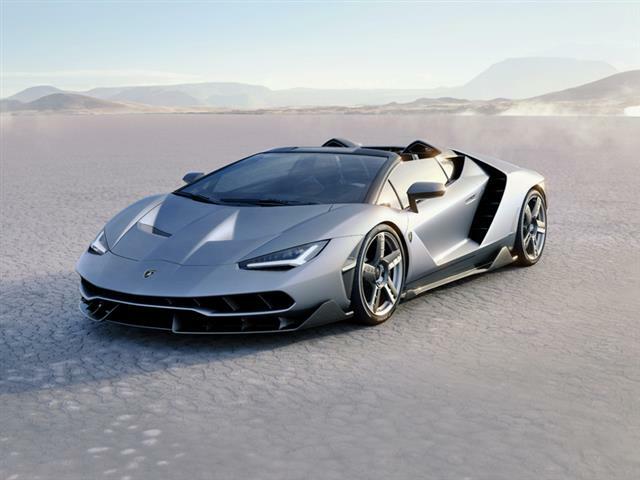 Centenario�s silhouette features low overhangs in the front and rear creating a clean, sensuous, mono-body shape.